KJ Howe here, welcoming talented author and reviewer Jon Land to the Rogue Women Writers today. I've had the pleasure of working with Jon on ThrillerFest for many years, and his enthusiasm for the genre is unsurpassed. 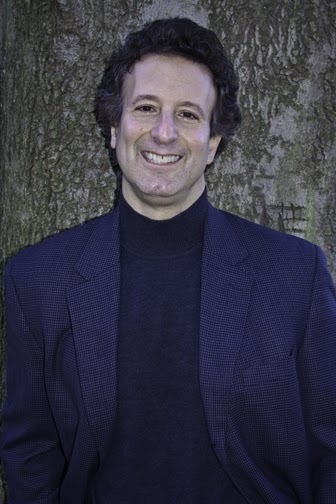 Jon reaches out to new authors every chance he gets, offering them his sage guidance, as he has experienced everything from writing non-fiction books to bestselling thrillers to screenwriting to co-writing with the esteemed Heather Graham. If you're looking for a panel master extraordinaire, Jon would be a brilliant choice. His irrepressible energy, thorough research into the panelists' backgrounds, and thought-provoking questions creates a buzz in any room. I’m thankful for being able to make a living (most of the time!) at what I love to do the most, maybe the greatest gift any person can be given. I’m thankful for all the wonderful friends I’ve made from International Thriller Writers, an organization that’s really more of a fraternity and community and is comprised of some of my favorite people in the world. I’m thankful for David Morrell, Gayle Lynds, Jim Rollins, MJ Rose, Kim Howe, Doug Preston, Bob Stine, Lee Child, Sandra Brown, John Lescroart, Dr. Doug Lyle, Steve Berry, Liz Berry, Kathy Antrim, Jeff Ayers and so, so many, many others who make up those favorite people. I’m thankful for Tom Doherty and Forge Books, who’ve never given up on me and always been willing to take a chance, by rolling the publishing dice to advance my career. I’m thankful for having a brilliant editor and agent Natalia Aponte who makes my work so much better and never stops pushing me to become a better writer tomorrow than I was yesterday. I’m thankful for my first agent, the legendary Toni Mendez, who took a chance on me back in 1981 when no one else would and never quit trying to find me a publishing home. I’m thankful for the late, great Walter Zacharius, founder of Kensington Books, who gave me that first publishing home. I’m thankful for Fawcett Books and the Random House family for becoming my second publishing home. I’m thankful for Bob Gleason, my fantastic editor at Tor/Forge and the smartest man I know, whose friendship is as important to me as his desire to see my books get the attention he believes they deserve. I’m thankful for Heather Graham, as great a person as she is a writer, who agreed to collaborate with me on a brand new series that begins with THE RISING in January, because now I have a chance to ride her coattails to the New York Times bestseller list that I’ve failed to reach on my own. I’m thankful for Jane Friedman and Open Road Integrated Media for giving my long out of print backlist a home and offering that part of my career a lifeline. I’m thankful to my agent Bob Diforio for bringing me to Open Road and for placing three of my nonfiction projects. I’m thankful for E-readers and tablets that have become a fresh lifeblood of an industry too often rooted in its ways, introducing readers to tens of thousands of books they never would’ve had access to before. I’m thankful for the fact that print sales are going up and the reports of our industry’s death turned out to be greatly exaggerated. I’m thankful for Brown University, whose then “New Curriculum” allowed me to stretch my wings and actually become a writer. That curriculum may not be new anymore, but it’s equally vital. I’m thankful for all the wonderful high school teachers who laid the foundation that taught me to love learning, and reading, while laying the foundation that got me to Brown. I’m thankful for late, great Professor Elmer Blistein, my Brown mentor, who took a chance on me by agreeing to sponsor my senior thesis which became my first novel, and thriller, that will never again see the light of day! I’m thankful for my family, especially my parents, who swallowed their disappointment over me not going to law school and supported my dreams and efforts to become a writer in every way, shape and form. I’m thankful for Camp Samoset, where I unwittingly first learned how to write by telling stories to kids in cabins and around campfires. I’m thankful for all the wonderful books I read that made me want to be a writer, because before you can love writing, you have to love reading. I’m thankful for living in a country where dreams can still come true and second chances, even third or fourth ones, still happen. I’m thankful for all the bookstore owners and managers who weathered a storm that nearly wiped them out a few years back, continuing to fight the good fight because they know that books matter. I’m thankful for the huge bestselling authors who keep people coming into bookstores. I’m thankful for all the on-line stores that make buying books so easy, there’s no excuse not to read anymore. And most of all, I’m thankful for all my readers, without whom I wouldn’t be penning this blog or living my dream. 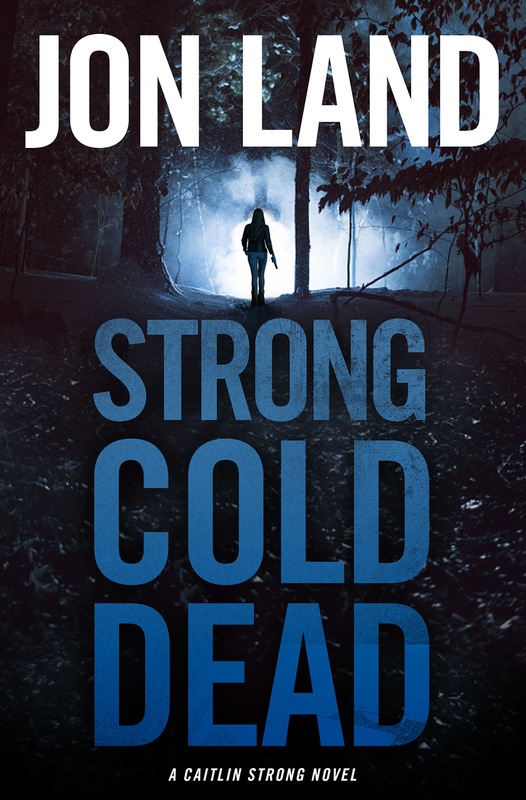 Jon Land is the USA Today bestselling author of 39 novels, including eight titles in the critically acclaimed Caitlin Strong series: Strong Enough to Die, Strong Justice, Strong at the Break, Strong Vengeance, Strong Rain Falling (winner of the 2014 International Book Award and 2013 USA Best Book Award for Mystery-Suspense), Strong Darkness (winner of the 2014 USA Books Best Book Award and the 2015 International Book Award for Thriller and Strong Light of Day which won the 2016 International Book Award for Best Thriller-Adventure, the 2015 Books and Author Award for Best Mystery Thriller, and the 2016 Beverly Hills Book Award for Best Mystery. The latest title in the series is Strong Cold Dead, was published on October 4 and about which Booklist said, “Thrillers don’t get any better than this,” in a starred review. Land has also teamed with multiple New York Times bestselling author Heather Graham on a new sci-fi series, the first of which, The Rising, will be published by Forge in January of 2017. He is a 1979 graduate of Brown University and lives in Providence, Rhode Island. Jon -- Your great article about all you are thankful for reminds us of the long road an author takes traveling from telling stories around a campfire to creating stories for the bestseller list. You have such a wonderful list of novels - now I can't wait to read your collaboration with Heather Graham THE RISING. A very Happy Thanksgiving to you and thanks for posting here! Jon, thanks so much for sharing your gratitude list! And congrats on your new series with Heather Graham!